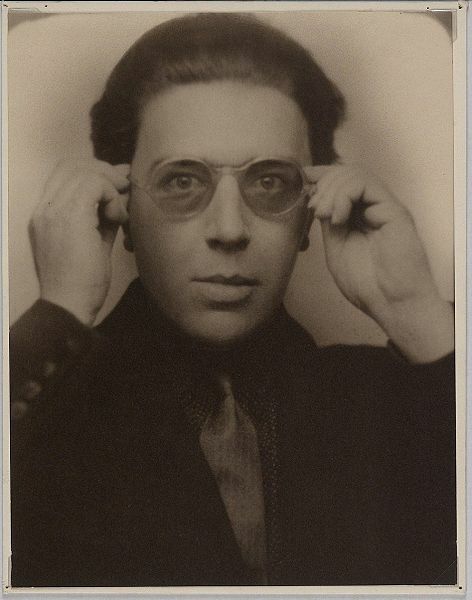 During his stay in Mexico, André Breton petitions a carpenter to make him a rectangular table. On not being able to describe what he desires (the French poet does not know how to speak Castilian), he sketches the table on a piece of paper, capturing the figure in perspective. Some days later, the carpenter delivers to the poet that astonishing piece of furniture: a table with a tilted surface and three legs of different sizes, the three-dimensional representation of what the carpenter observed in the plan. In its most extravagant form, this event would occasion the Bretonian declaration: “Mexico is the surrealist country par excellence.” The phrase, we now know, is used occasionally to explain the absurdities caused by our historical contradictions. Some days ago, I was working on a text that would illustrate what I see, in my opinion, as the stereotyped and self-absorbed vision that certain European intellectuals reproduced when referring to what constitutes “Mexican.” Motivated by pure thirst for pigeonholing characters such as Breton, D.H. Lawrence, Eisenstein and Artaud (I was forging a vile Chichimecan vengeance), I found a book called Breton in Mexico, by Fabiene Bradu. More than a narrative, the volume is a compilation of periodical items inspired by the poet’s visit, and a tracking of his itinerary without abounding in details. Invited by Isidro Fabela to present a series on art and aesthetics, supported by the French Ministry of Foreign Affairs, in the auditorium of the National University, the author of the Surrealist Manifesto encounters the occasion of attaining one of his “biggest aspirations.” In an interview before the trip, published in Review of Reviews, Breton refers to Mexico as “the country of compelling beauty,” an “inextinguishable deposit of romantic energy” and a “rich seam of black humor.” Regarding the latter, the splendid funereal toys and Posada’s engravings are, according to the poet, the confirmation of the concept. He never mentions any explicit link between Mexico and that “pure psychic automatism, through which he tries to express, verbally, in writing, or through any other means, the real way thought works” (according to the definition included in the first Manifesto). André Breton disembarks with his wife at the port of Veracruz April 18, 1938. A representative of the French embassy receives them, with the news that nothing has been arranged about expenses and hotel accommodations. Diego Rivera, who also went to the debarcation, takes charge of the situation. In the Federal District, university officials do not lift a finger to organize or publicize the presumed lectures, and the Mexican Communist Party promotes a boycott of the visitor’s presence. From the newspaper El Nacional, Efraín Huerta in turn assumes the role of gunman: “Then André Breton and his ‘hair’ appear. He pronounces several commonplaces on surrealism. Why would surrealism not have to have commonplaces?” For his part, Jorge Cuesta is writing an elegant little essay, a type of introductory study of surrealism that he will not publish until years later. But we have all been unfair toward good old Jorge Cuesta. In Bradu’s book, there is not a single line dedicated to the episode of the bowlegged table. One could draw the conclusion that the author omits the banality, but, for example, Bretón’s fascination with jumping beans, the robbery of votive offerings in a Cholula church, or the search for some statuettes in Chupícuaro – there they are. In the absence of contact with the Mexican intelligentsia (whether from mutual disinterest, frank hostility, or because Rivera did not try to share the company), the thread of Bretón in Mexico is the complicated relationship between the poet and León Trotsky, once supreme commander of the Red Army, by then a refugee in Coyoacán. Recently expelled from the French Communist Party, Bretón saw in Trotsky the possibility of continuing to associate his movement with Utopia. For his part, Trotsky wanted Bretón to draft an artistic manifesto that would be adapted to the postulates of the Fourth International. Rivera, I suppose, was feeling fascinated, operating in the major leagues of world conspiracy. A jaunt to Michoacán is the culmination of the transcendental misunderstanding: the surrealist position and historical materialism don’t get along. Pressured to the extreme by the Russian, the Frenchman gets down from the car in the middle of the highway. Péret is another French surrealist poet. The statement is not employed to refer to a surrealism in a state of purity, but to demonstrate that certain humble objects can be raised to the stature of the sacred. In their semi-ignorant state, they get to the level of those who have known almost everything provided that they risk it all. Hence, there was no Bretón, but a less prestigious colleague, there was no sketch but a photograph, and there was not a table but a complete set of furniture of a bedroom. Thus the scene acquires a certain lack of moderation, looks forced, and, frankly, loses versimilitude. In reality, that phrase to which we go on giving turns emerged rose as a response to the very question formulated by Rafael Heliodoro Valle, for an interview published in the review Universalidad: “Is there a surrealist Mexico? If you believe that there is, where have you encountered it?” In that tone, any response would have sounded conditional. In any case, surrealism would consist of discovering those exposed aforementioned mechanisms that produce our myths. Editor’s note: an apparent reference to Breton’s wife, echoing a poetic line in which Breton referred to her hair. This entry was posted on January 30, 2016 by ccpolsgrove.